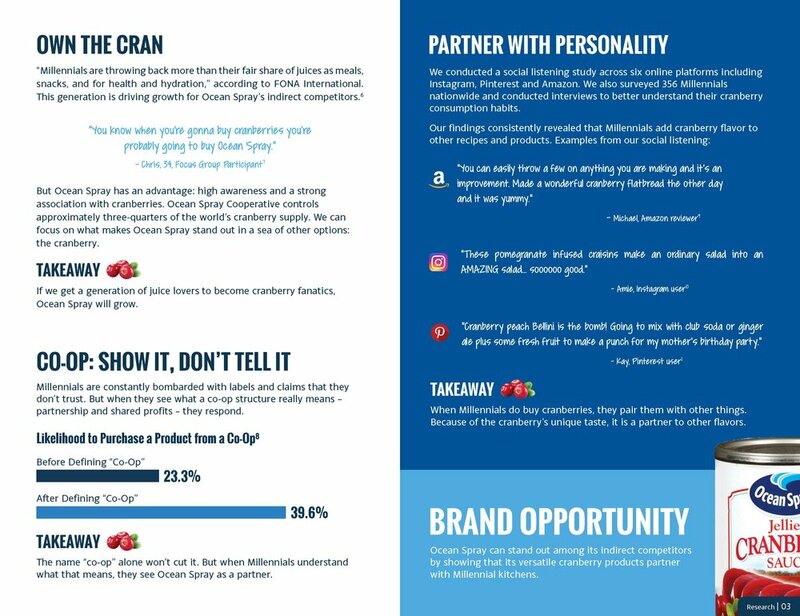 Ocean Spray, the client for the 2018 NSAC competition, asked us to address this issue: Millennials know what Ocean Spray is, but they’re not buying its products. 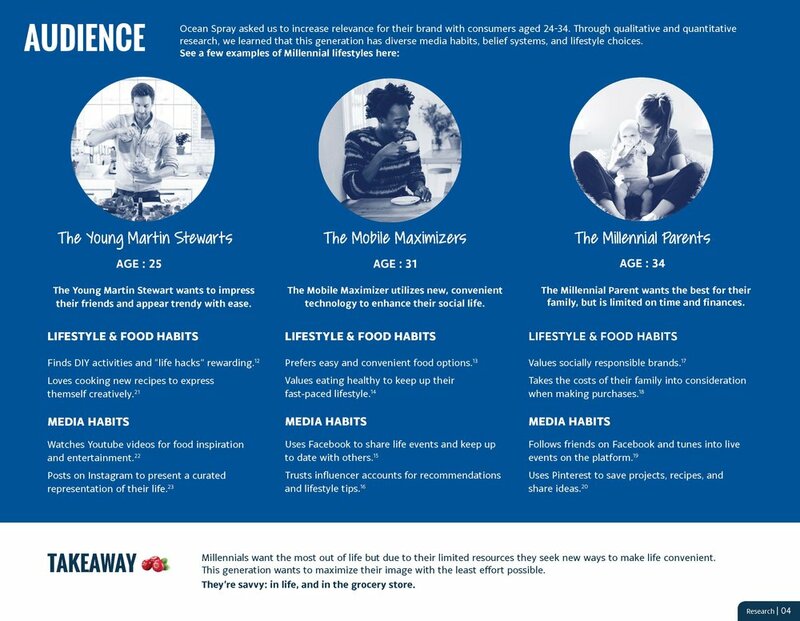 The strategy: Ocean Spray has an opportunity to reach savvy millennials by highlighting how easily its products can partner with Millennials to make things better. 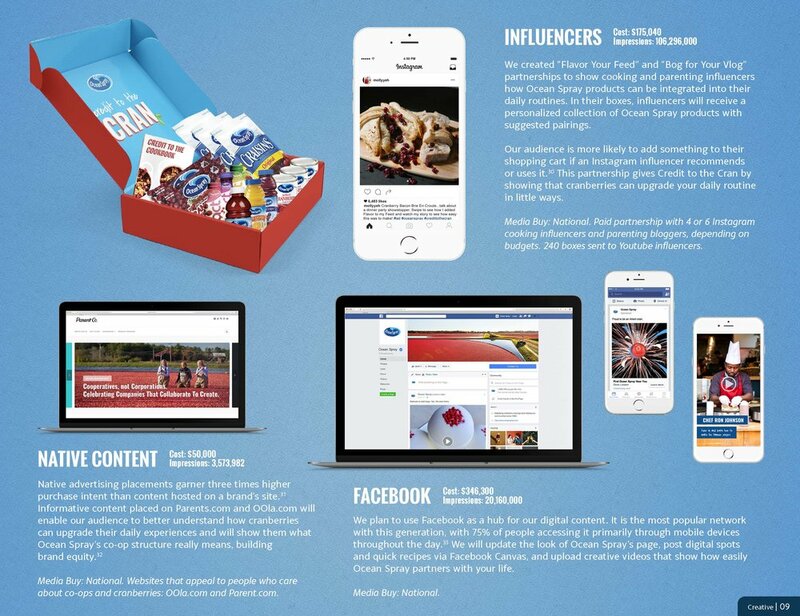 Our national campaign, Credit to the Cran, shows Millennials how seamlessly Ocean Spray products pair with every moment of the day—even outside the kitchen. As a result, they’ll remember to give Credit to the Cran and to the brand. 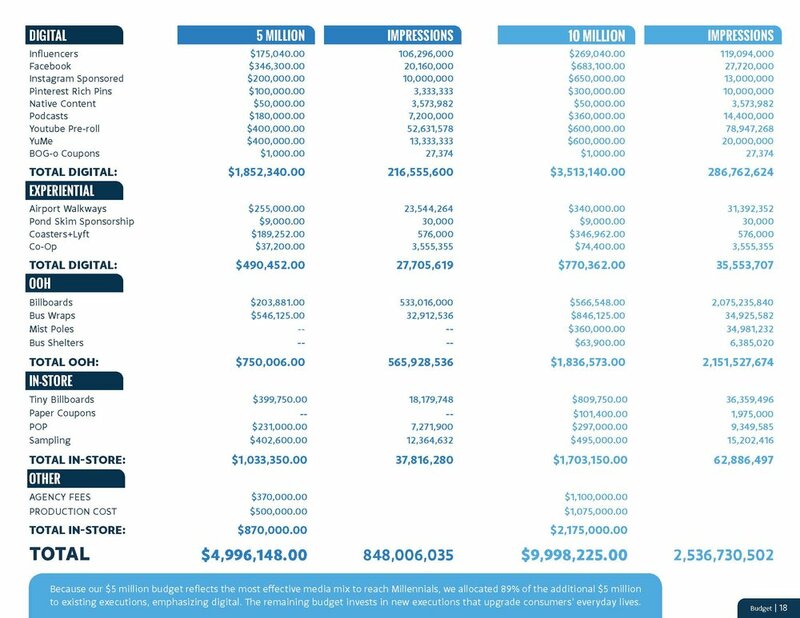 I spent the year assisting the account manager. 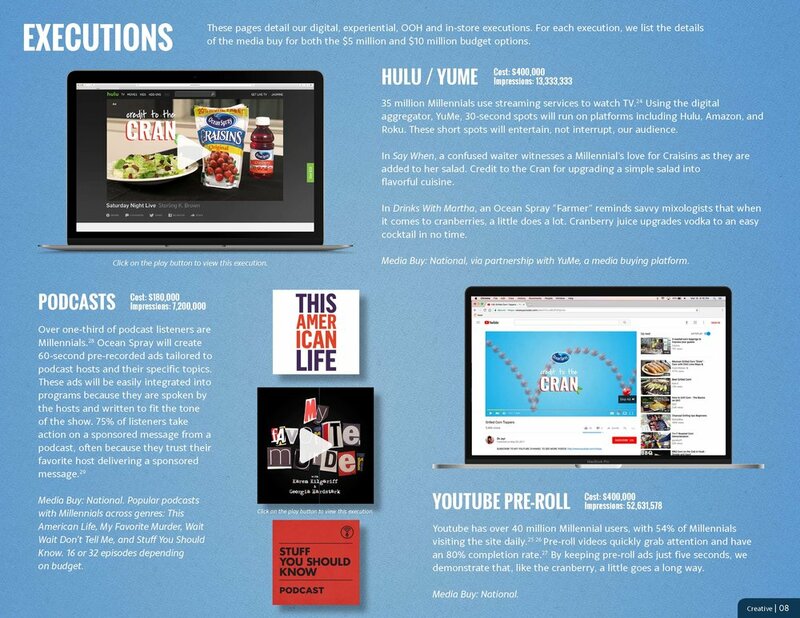 We worked together to keep the team timeline and campaign scope on track. This experience has helped me learn about different kinds of leadership and team dynamics, while also helping me become a great listener and collaborator.